"Scene-stealing" and "breakout star" are plaudits that typically preface an Oscar nomination, but not for Charlie, who starred in 2016&apos;s The Witch, and likely not for a (different) Charlie or Olivia, the respective co-stars of this year&apos;s A Star Is Born and Widows. None of them, in fact, are even allowed in the Dolby Theater where the Academy Awards are hosted: Charlie is a goat-actor, and the other Charlie and Olivia are dog-actors, and the theater only allows entrance to non-humans that are service animals. While exceptions to this ban might be made for an Oscar nominee, Charlie the goat did not receive an Oscar nod, and the canines are unlikely to as well: No animal has ever received one. "Take your stinking paws off me," an Oscar-winning actor once famously stated in a movie. His words might as well be co-opted by an Oscar statue speaking to any non-human performer who has ever graced the silver screen. 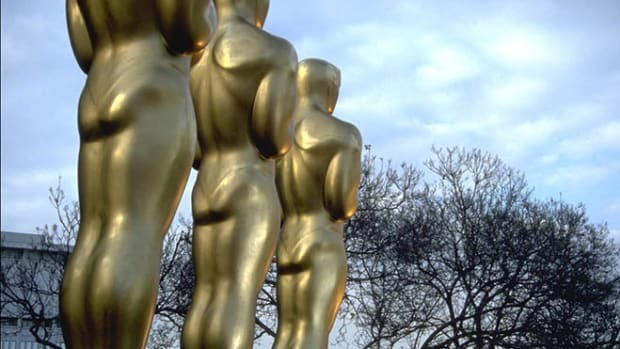 The Academy&apos;s rules do not, by letter of the law, preclude animals from being nominated: There is no stipulation in the "Special Rules for the Acting Awards" that eligible "actors" and "actresses" be human. 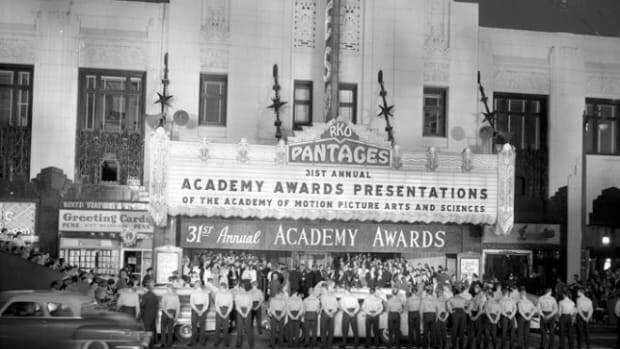 Prior to nomination season, however, the Academy compiles, for its members, a "Reminder List" of every eligible movie, including up to 10 eligible actors and up to 10 eligible actresses from each one, from which the actors in the Academy select the slate of nominees for each of the four acting awards. Notably, these Reminder Lists of eligible actors never include animals. "While the Academy appreciates the contributions that animals have made, the Academy honors achievements of individuals in motion pictures," the Academy wrote in a statement to Pacific Standard. 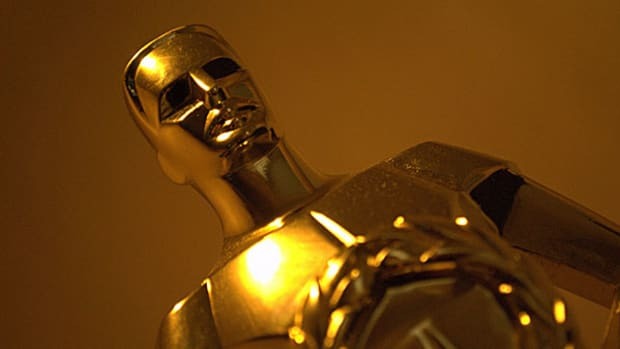 "Though the Academy&apos;s rules do not specify that &apos;actor&apos; and &apos;actress&apos; refer only to humans, animals are not included in the Reminder List of Productions Eligible for the Academy Awards." But the question of whether animals can be eligible for acting awards is far less interesting than the question of whether they should be. The former is answered, in two sentences, by appealing to policy. The latter is a question whose answer turns on cognitive science, on our cultural expectations of performance, and on the psychology of movie-viewing itself. Put simply, it is a question of whether animals featured in movies, or on stage, are acting at all. In the modern, Western conception of acting, according to Thalia Goldstein, an assistant professor at George Mason University who has studied the psychology and cognitive science of acting, an actor is expected to give a performance of emotions that is behaviorally true—that, in other words, is indistinguishable from how a person in the real world would react emotionally if faced with a similar situation. This might seem obvious but consider how you might try to act angry if called to on the spot: Perhaps by shaking a clenched fist, or stomping your feet—two things no angry person this side of Lifetime dramas has ever actually done. The behaviorally true technique requires that actors have a specific set of cognitive capabilities. Goldstein identifies the following actor cognitive toolkit (human or otherwise): a theory of mind, which is the understanding that other beings have distinctly different knowledge, beliefs, and emotions; empathy, the ability to understand what emotions another being is feeling; and emotion regulation, the ability to prevent one&apos;s real-life feelings, say from an offstage break-up, from seeping into their performance. Based on these criteria, let&apos;s try to identify our best Oscar shot in the animal kingdom. There&apos;s plenty of research testing whether various species behave in ways that suggest they understand that the perspective they have is not necessarily shared by another animal. One study out of the Max Planck Institute for Evolutionary Anthropology found that dogs might possess a low-level understanding of alternative points of view, as they are more likely to eat food that they have been forbidden to touch if their owner has their back turned or is engaged in a distracting activity. Another study has found similar abilities in ravens. Captive-born chimpanzees and bonobos have not fared as well on non-verbal versions of the test. Researchers at the Max Planck Institute, using grapes and bananas instead of marbles, found that apes will reach for the incorrect box when "answering," but in certain conditions they&apos;ll do so while looking at the right ones. In other words, apes failed the test, but perhaps, on the most gracious interpretation possible, sometimes had an understanding that something was amiss. The test results on theory of mind do not bode well for animal performers being actors. Research certainly eliminates animals like goats from acting awards on this criteria—so goodbye to Charlie the goat—and more than likely does so for all animals, including chimps. For the sake of argument, however, let&apos;s suppose our Oscar-seeking animal actor is an ape, and this ape is one of the ones in the above study who at least looked in the right direction, indicating the potential—which for argument&apos;s sake we&apos;ll consider actualized—existence of a higher order theory of mind in said chimp. Or let&apos;s suppose our Oscar-seeking animal is a dog, and our dog is Air Bud, but instead of excelling at basketball, she excels at abstract thought (Air No-One&apos;s-Bud?). We&apos;ll forget about ravens, because, frankly, they&apos;ve been completely typecast and who wants to see the rise of the manic pixie dream bird? 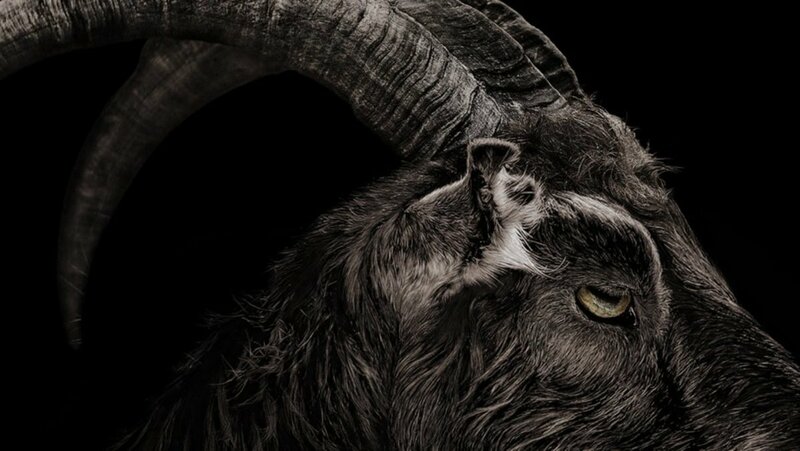 Despite his star turn as Black Phillip, Charlie the goat received no awards recognition. Our chimp/dog performer next has to pass the criteria of possessing empathy. A study by researchers at Emory University found chimps will yawn contagiously when shown videos of humans they know yawning, and even humans they don&apos;t know yawning, but not when shown a video of a species they&apos;ve never met or an out-group chimpanzee yawning. According to the authors of the study, this suggests the presence of some level of involuntary empathy. Unless our chimp is playing Rip Van Winkle, however, this seems like a skill that won&apos;t translate to motion pictures. Dog owners who&apos;ve been comforted by dogs when upset won&apos;t be surprised to learn our Air Bud probably possesses a deeper type of empathy. In one University of Vienna study, dogs were taken to a room with loudspeakers where they were ignored by their owners. The dogs were filmed over a period of time during which a series of sounds were emitted from the speakers: dogs whining or barking; humans crying or laughing; and a variety of neutral sounds, like humans speaking without emotional inflection, or the patter of rain. Later, analysts watched the videos of the dogs&apos; reactions, without the associated sound, and coded responses, eventually finding that dogs paid closer attention to emotional content from humans and dogs alike, and that they were more likely to behave in ways associated with negative emotional states when they heard negative sounds. It seemed they could, in other words, pick up on emotionally charged sounds, and to some extent could match them. But as concerns more complex emotions, like nostalgia, there is no evidence Air Bud or a chimp could either identify their presence in others, or mimic them. They have an emotional pallet more in line with John Wayne than Meryl Streep. So let us suppose the acting performance we expect from our chimp or dog is a less nuanced one. Our star animal is going for Oscar bait, not complexity. Unfortunately, our search for an Oscar winner probably ends here, because there&apos;s not much evidence animals of any sort meet the third cognitive criteria of acting: possessing emotion regulation, the ability to turn off real-life feelings in order to give a performance as someone else. 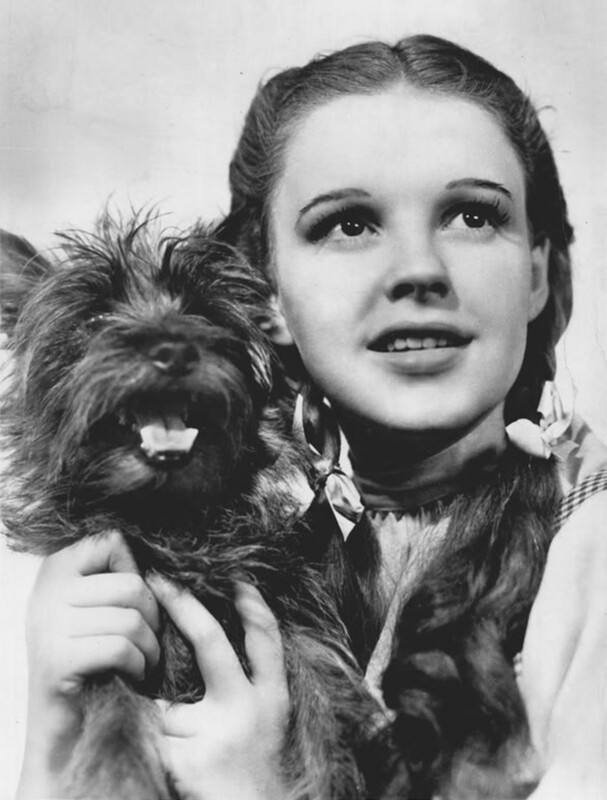 William Berloni cites Terry&apos;s performance as Toto in The Wizard of Oz as an all-time great. Berloni also explains that, if you prime a dog to act a certain way, it, unlike a good human actor or Jared Leto, won&apos;t necessarily be able to turn that emotional register off when the cameras aren&apos;t rolling. For this reason, when he was selected as a trainer for Jim Jarmusch&apos;s Paterson and the script initially called for an aggressive Jack Russell Terrier, Berloni explained to the director he wouldn&apos;t train a terrier to be aggressive and was able to lobby him into using a bulldog instead. Though our attempt at finding an animal an acting Oscar failed by the above criteria, there is a saving grace: As animal performances go, so, perhaps, does method acting. The theory of mind and empathy litmus tests for acting are based on the presumption that to act one must be able to both understand the emotions of another person and to embody them. But method acting calls for the actor to actually undergo what the person they are portraying underwent. "If you asked Marlon Brando," Berloni says, "he would have told you he was not acting angry when he appeared angry, he really was feeling anger." Method acting, of course, unlike animal performance, has a history of being rewarded by the Academy. 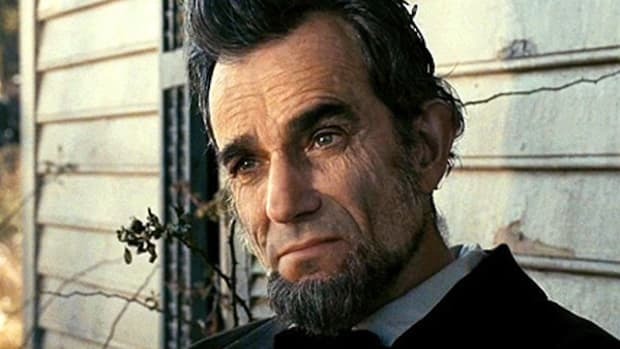 In his Oscar-winning turn in 2015&apos;s The Revenant, Leonardo DiCaprio&apos;s character eats a raw bison liver, and the actor famously shunned eating a fake jelly one and opted for the real thing. As Leo explained to Yahoo!, the resultant reaction immortalized in his reel "says it all … it was an instinctive reaction." So too might be said of the reaction of Olivia in Widows sniffing a familiar scent, or the goat in The Witch raising itself on its hind legs to attack. If instinctive reaction is not good for the goose (i.e. animal actors), why does it pass for the gander (i.e. method actors)? One edge method actors have on animals is knowing, ultimately, that they are performing in a movie. Without that knowledge, performance isn&apos;t acting, Goldstein notes, but rather behavior. But standards in what we consider acting can change over time: Ancient Greek Theater, where the western theatrical tradition began, was highly stylized according to Goldstein, and actors gave exaggerated performances meant to signal certain emotional dispositions, frequently expressed through dance. Today, we call this high school theater. If an artist&apos;s intent is unimportant to analysis in other critical fields, and the author is dead, why not the actor too? That acting is more in an audience&apos;s mind than an actor&apos;s performance isn&apos;t just postmodernism run amok: There is evidence that the emotional resonance of a performance, is, in fact, out of the actor&apos;s hands. In the 1910s and &apos;20s, a Russian/Soviet director Lev Kuleshov ran an experiment where he filmed a single shot of the actor Ivan Mosjoukine, whom he instructed to pose expressionless. Later he cut the shot three different ways: first preceded by a shot of a bowl of soup, second by a child in a coffin, and third by a woman reclining on a couch. Audiences, reportedly, read the same exact look on the actor&apos;s face in three different ways: as deep pensiveness, sorrow, and lust, respectively, depending entirely on the preceding shot. A 2006 study using fMRI analysis confirmed that different regions of the brain had more pronounced activity to a neutral shot when that shot was paired with either a negative or positive context. A 2017 study found the effect was heightened when an auditory element was introduced. "If your definition is that acting is all in the audience&apos;s mind, inanimate objects can be actors if framed correctly and edited with the right music," Goldstein says. "From that perspective, all you need is a dog running to be acting." 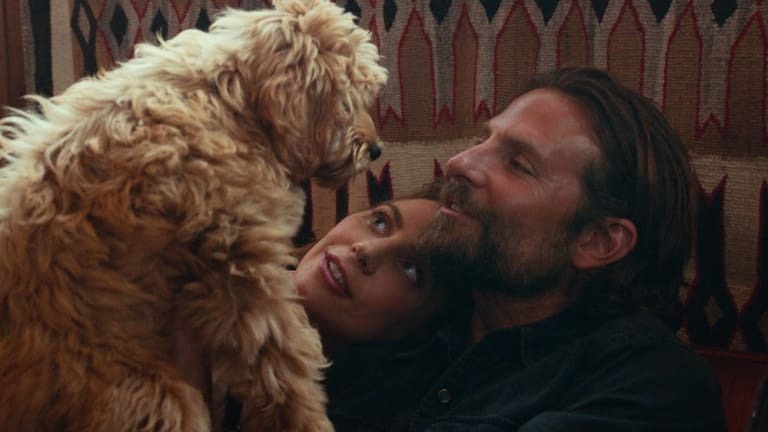 It follows that, if a dog running makes us feel more than a method actor&apos;s facial twitch, or an A-lister&apos;s precise performance of a mental breakdown, perhaps it is worthy of an acting nomination—and, later, a thankfully absent acceptance speech. We just first have to find a way to get animals into the theater.